This Month’s Book: Book Fiesta! This month’s selection, Book Fiesta! is a bilingual presentation of happy children with books, having reading adventures in fun settings throughout the day. 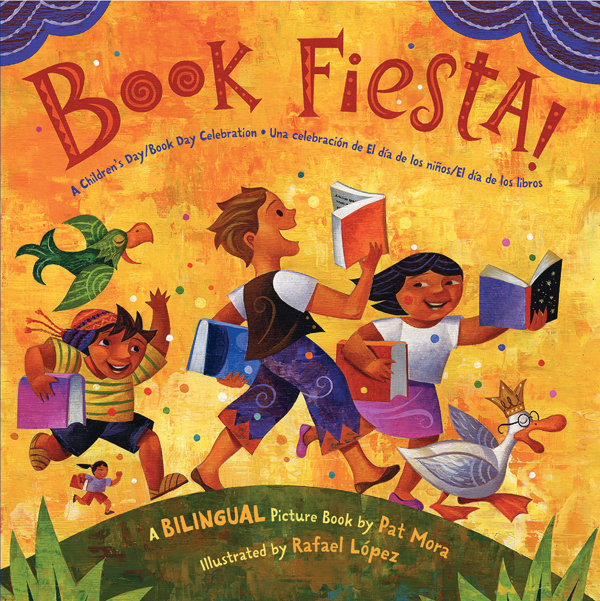 The combined creative genius of author, Pat Mora, and illustrator, Rafael López, highlights the beautiful array of cultures and diversity in the world, and within the communities we live in. Book Fiesta! is inspired by Children’s Day, Book Day, recognized on April 30th as a celebration of all children, emphasizing the importance of connecting children to languages, cultures, and books every day. In Book Fiesta! Pat Mora writes, “Our families tell us stories while we listen and play.” Each family has unique stories and traditions, which contribute to the collective story of our world. Share family stories with your children! If you need inspiration, show your child photographs from your own childhood and talk about them. Start your day with an exercise to boost brain activity: sing a song! Try singing the José-Luis Orozco song “Good Morning/Buenos Días” in English and Spanish for extra brain boosting power. Sing along with José-Luis Orozco! Activity 1: In Book Fiesta! Pat Mora shows us that we can enjoy books everywhere: in a hot air balloon; while riding an elephant; even underwater in a submarine! As you go about your day, bring a book to share with your child while at the park, or waiting in line. Activity 2: Each page of Book Fiesta! shows children reading in a different setting. 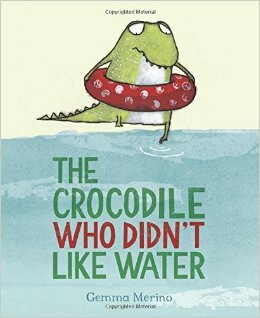 As you read the book with your child, take time to enjoy the vibrant illustrations and talk about the story. Ask your child to help you find all the books on each page. After you read the book, ask your child to show you their favorite page. 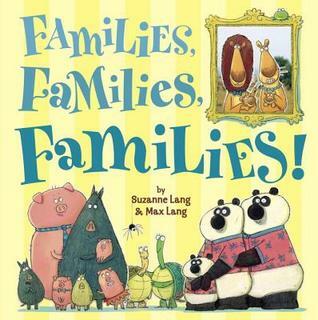 Activity 3: Explore books that embrace diversity and acceptance! 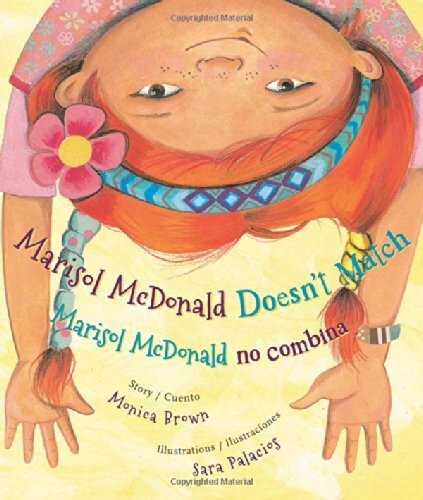 Check out these titles at your local Pima County Public Library. Activity: The laughter of children is one of the most beautiful sounds in the world. Playing with bubbles is a fun way to inspire giggles from children of all ages. Experiment with various kitchen utensils as bubble wands and let your child observe the differences. For instance, using a potato masher to blow bubbles has an interesting effect that is different from using a cookie cutter, or a funnel. Construct bubbles wands with your child! A simple wand can be made with yarn and straws. String yarn through two straws and tie the ends together leaving enough yarn between the two straws to form a square, or rectangle. Pipe cleaners can be twisted into various shapes for bubble wands also. Notice that no matter what shape you make; the bubbles will become round as they float through the air. Send a video of you sharing the book together, or singing the Good Morning song. Send a picture of you and your playing with bubbles! Be creative! We can’t wait to see what you loved about Book Fiesta!